STEPHANIE "POOKIE" N. WILLIAMS, daughter of Jewel and John Williams, was born on July 11, 1956 in Cedartwon, Georgia. Stephanie received her early education in Buffalo Public Schools PS#17, Woodlawn Junior High School and Kensington High School. She furthered her education at Hilbert College, where she received her Associate's Degree in Biology. In 2003, she returned to school and received her Bachelor's Degree in Biology from D'Youville College. Stephanie was employed at Millard Fillmore Hospital Gates Circle, where she worked a an Aide. As a result of her generous spirit and pleasant personality, she was loved by many. Stephanie joined Second Temple Missionary Baptist Church and was a faithful member for many years. She was called home on Sunday, March 24, 2019 in the presence of her older sisters, Zemria and Sylvia. She was preceded in death by her parents and her older brother, John Williams, Jr. Her beautiful life will be forever cherished in the lives of her husband, Tony Richardson; her children, Justin and Juelona "JuJu" Richardson; granddaughter, Juelle Richardson; her brothers, David and Vinson Williams, Sr., both of Buffalo, NY, Demory Williams Sr of Hinesville, GA, and Thomas Williams Sr of Atlanta, GA; her sisters, Sylvia Smith of Hampton, VA, Pamela Carter of Charlotte, NC, and Zemria Davis, I of Plamdale, CA and their spouse; 23 nieces and nephews, 25 great nieces and nephews, 5 great-great nieces and nephews and a host of loving cousins and friends. 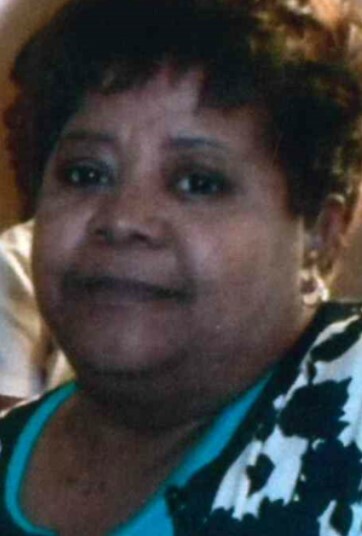 Family will receive friends Friday, April 5, 2019, 10am at Second Temple Baptist Church, 812 E. Delavan Ave. Funeral to follow at 11am. Interment at Forest Lawn Cemetery.